Crafted by World-Class Erhu maker, Wan Qixing, this Purple Sandalwood Erhu is a superb performing instrument and an outstanding addition to your music collection. With over 50 years of Erhu making experience, Wan Qixing practiced Erhu making since the age of 15. He won countless awards and earned the title of "International Erhu Master Maker". His Erhus have been pursued and praised by many professional performers and collectors, and even permanently displayed in museums. 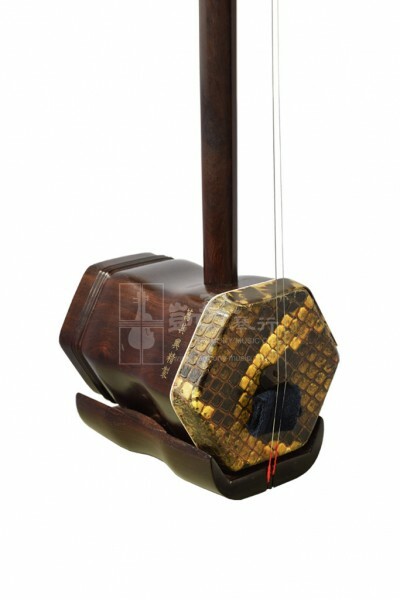 This Erhu is made with Premium Purple Sandalwood. With the unique resonant structure of Purple Sandalwood that showcases bright, rich and sweet penetrating tones, seamless trebles and bass, the smooth changing positions of this Erhu makes this an iconic item among professional Erhu performers and Erhu enthusiasts. Suzhou Premium Purple Sandalwood Erhu by Wan Qixing comes with a rustic bow, a spare string set and bridge, a rosin and a case. If you are craving for one of the top quality Erhus, this is sure not to disappoint.